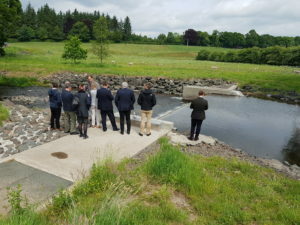 The Board of Ofgem held their June meeting in Scotland and a number of the Directors, including the Chairman, took the opportunity to visit Rumbling Bridge Community Hydro. 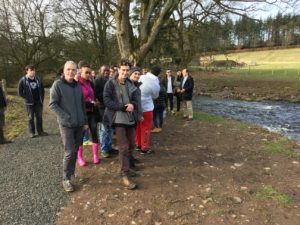 Hugh and Catherine Wallace of Glendevon Energy, Rumbling Bridge’s development and operations partner, hosted the visit and had organised an introductory presentation and site visit for the Ofgem party. Jim Lee and John Malone of Energy4All were also present. 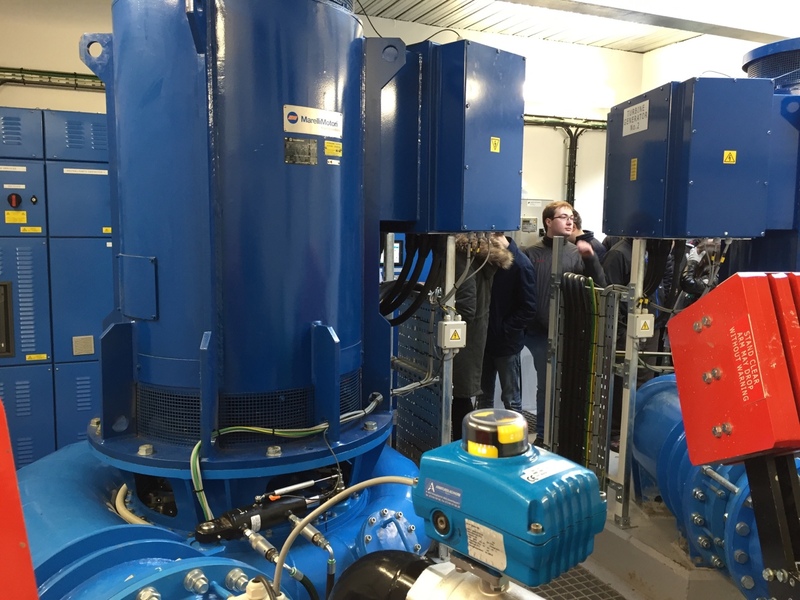 The Ofgem Directors were receptive to these points and there was time for more detailed discussion during the tour. 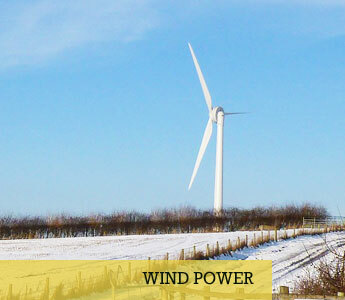 The visit was a real opportunity to raise awareness of the community energy sector with Ofgem and some of the issues that the sector faces. 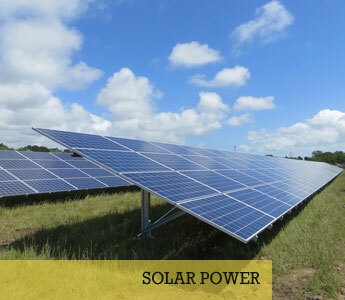 Energy4All will maintain and build on the contacts made. 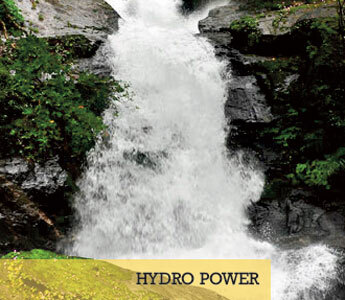 You are invited to visit the Rumbling Bridge Community Hydro Scheme. 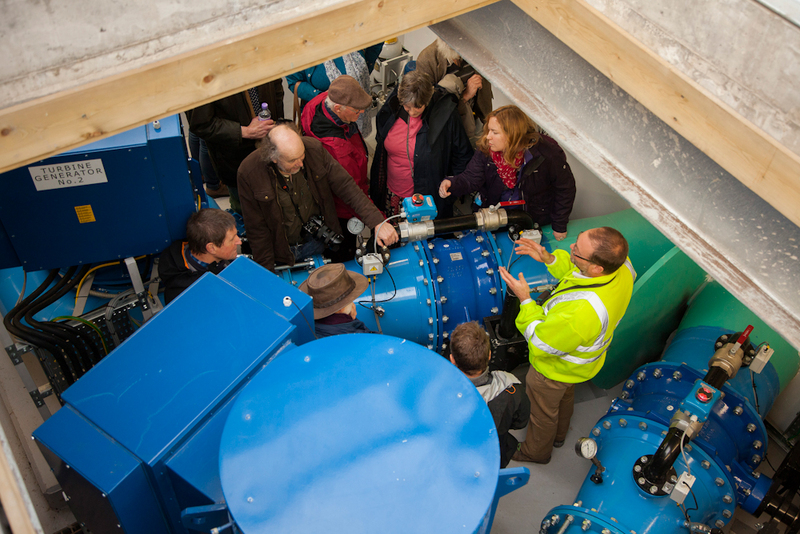 There will be a walk down to the Powerhouse then the option to walk up to the intake weir. Society Directors and technical people will be on hand to answer your questions. 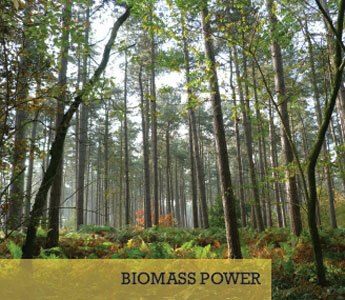 We are delighted to report that as of Friday 17th March 2017 we have generated 1GWh of power, almost half our annual budget. The Open Day and launch event hosted on the 28th October 2016 was a huge success. 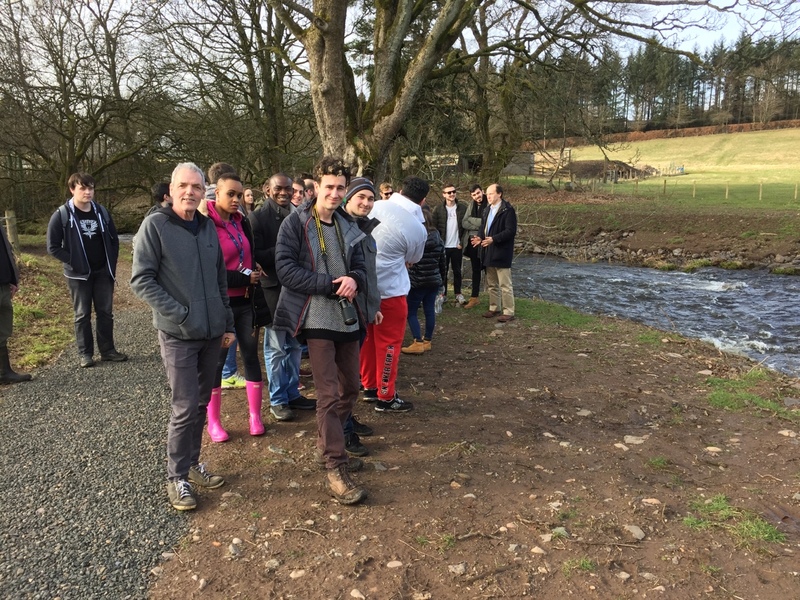 Local people along with members and industry professionals were invited to attend the event, which included a guided walk and a switching on ceremony at the pump house. 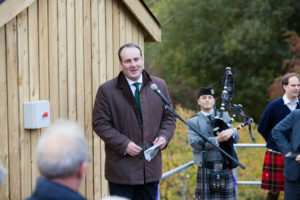 The scheme was officially launched by Paul Wheelhouse MP – the Scottish Energy Minister. An evening reception was held at Tullibole Castle by kind permission of Lord and Lady Moncrieff. Visit the Gallery to see further pictures of the event. The official launch and AGM of Rumbling Bridge Community Hydro Society will take place Friday 28th October 2016. Members and other invited guests will take a guided walk from the Crook of Devon Village Hall via the Weir, pipe route and Rumbling Bridge gorge to the Power House. The Scottish Energy Minister, Paul Wheelhouse will officially launch the project. A drinks reception will take place at the Village Hall , followed by the AGM. Lord and Lady Moncrieff have kindly given permission for us to hold a members and landowners party at Tullibole Castle in the evening. Limited tickets were available and issued on a first come first served basis. An open event for the community will be organised shortly to take place in Spring 2017. Press Information – please download the press release below. The grid connection progressing to programme. a later connection date in late July has been agreed. 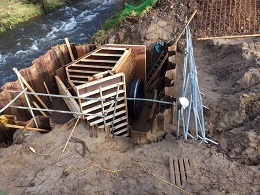 Work on the hydro scheme at Rumbling Bridge continues to go according to schedule. The main excavation of the railway siding has been complete and is ready for the pipes to be installed. 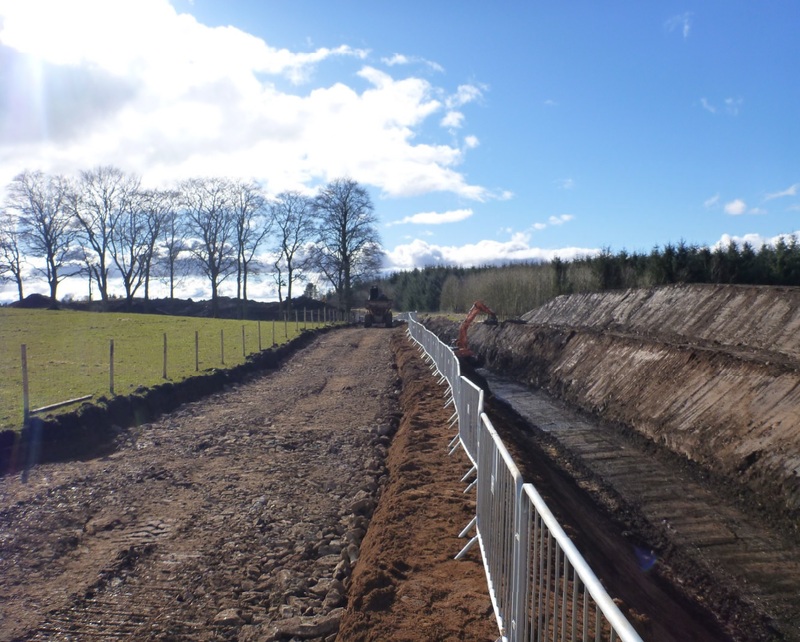 There is a programme of rock blasting during April that will open up the trench towards the intake weir. 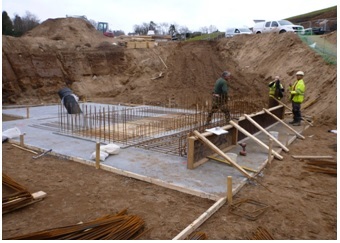 The foundations for the powerhouse are currently being laid. 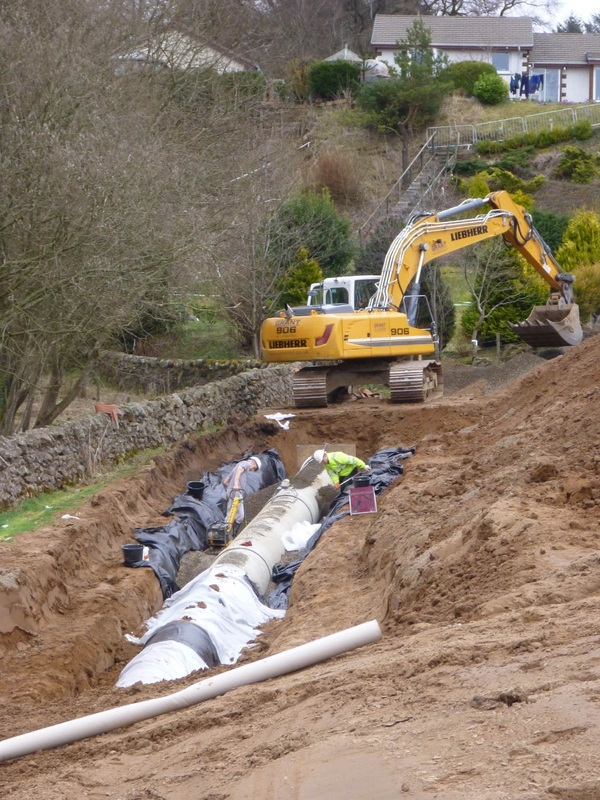 The pipe will be installed from here back toward the intake, so work on the slope up through the village will be starting soon. Components for the turbine are currently being brought to the factory in Slovenia and we expect it to be delivered on time in early July by which time the powerhouse will be complete and ready to receive it. It’s been a very wet few months but today provided a blessed respite as the eye of a low pressure system moved over the site. 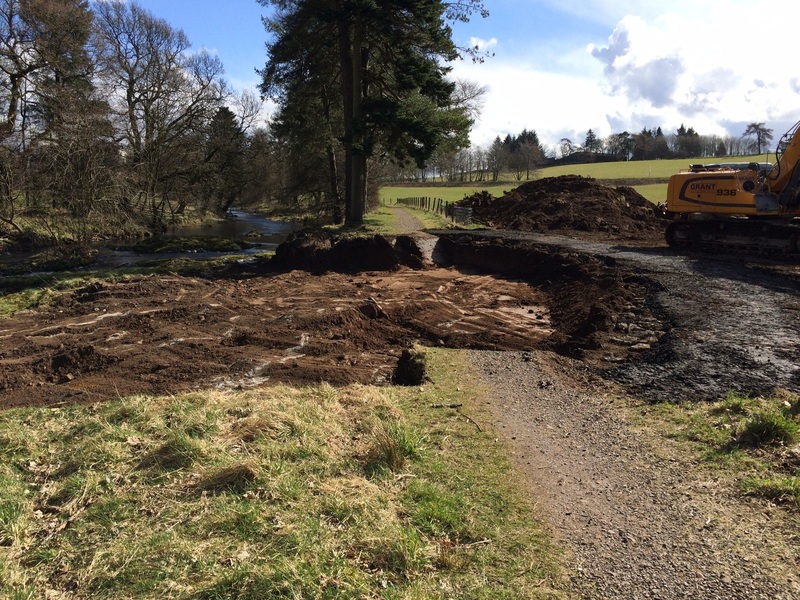 The weather has made life difficult for the contractors while they undertake the deep dig for the pipe route through Briglands Estate. The volume of water coming down through the field is hampering the efforts to remove material to the depths required. Normally they would come back when the weather improves, however to meet our schedule we have to persevere otherwise we will fall behind. 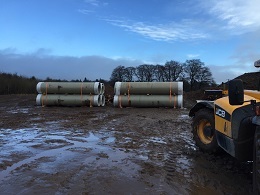 On better news, the pipes have started to arrive on site and the foundations for the power house have been dug. 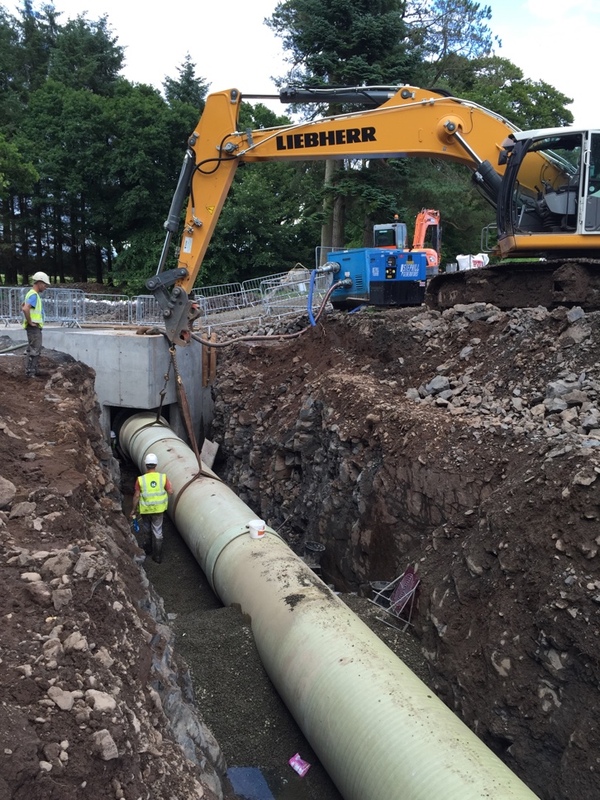 The latter has proved a much easier task than expected with the sandy soil conditions they found at the lower end of the works. 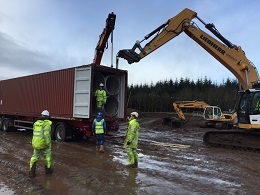 We hope the weather will get better soon so our contractors don’t have to wade knee deep in the mire. We’ll keep you updated.